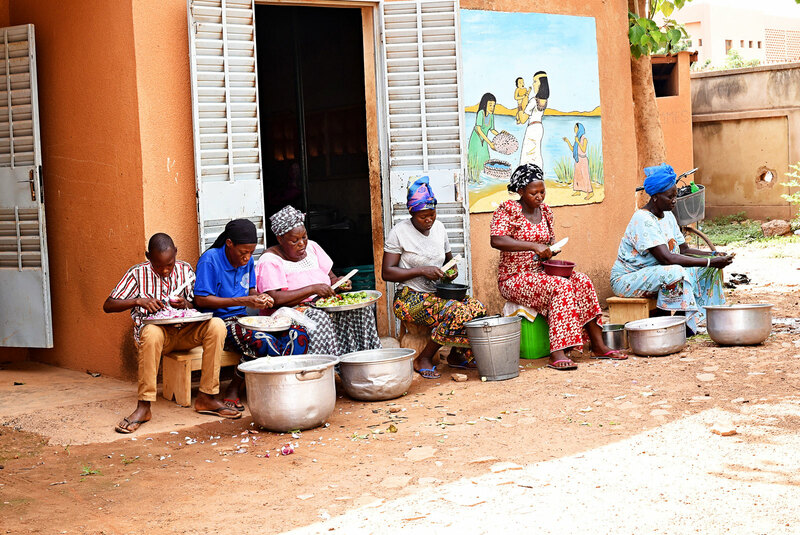 Maton Baro wakes at 5am every Friday and walks to the local markets in her neighbourhood in sprawling Ouagadougou, Burkina Faso’s capital city. As the sun rises, she marches between the stalls, greeting the farmers and haggling good-naturedly over prices. 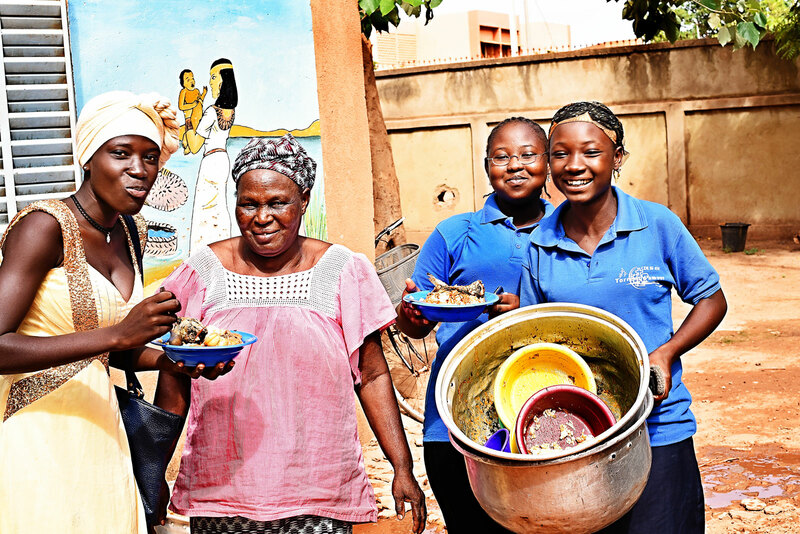 She’s on a weekly mission to buy all the fresh ingredients she needs to feed hundreds of children at the nearby River of Love Child Development Centre (BF0450). 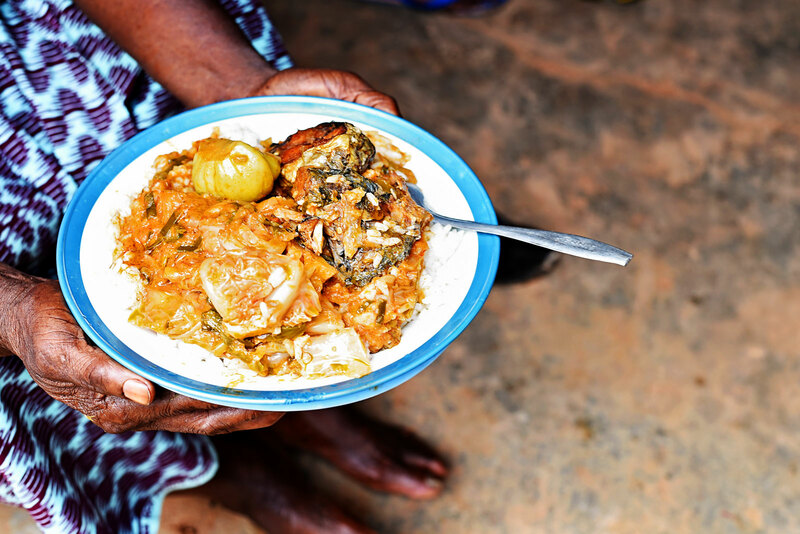 Maton, known affectionately as ‘Yaaba’ (‘Grandma’) by the children, has kept up the same routine since 2004, when she was first asked to be the centre’s chief cook. The children who were registered at the time have now grown up and many have graduated the program. For more than a decade, she’s nourished them not only with her (rightly) famous recipes but with laughter and warm advice. Saturday is program day at the River of Love centre. Early in the morning, as the children collect their breakfast of warm milk and fresh baked goods from the local bakery, Yaaba gathers her lieutenants to assign them tasks. Today's lunch menu: rice with fish in a peanut sauce. Angry children or not, the challenges of feeding many hungry tummies are undeniable. The team begins with prayer for protection as they work, wary of hot pots and sharp knives and how quickly accidents can happen. Yet they tackle their tasks expertly, under the watchful eye of their leader. Soon the oil is hissing in the hot pan and Evelyn begins dropping in the fish fillets to fry. 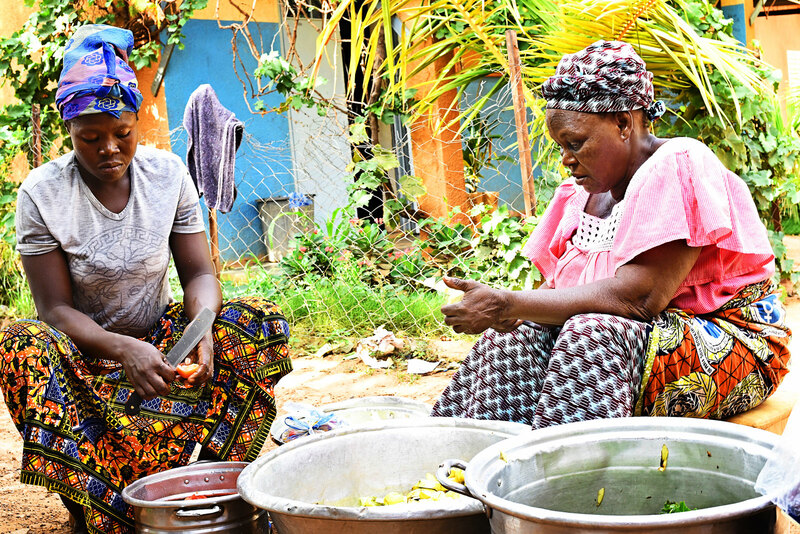 Yaaba, Odette and Antoinette take up the seats outside the kitchen hut to chop the onion, cabbage, eggplant and capsicum. As the aroma rises, more and more children poke their heads around the corner to say good morning. But Yaaba isn’t fooled—she knows they’re drawn by the delicious promise of food, not any particular desire to see her. If they make the mistake of getting too close, Yaaba co-opts them as kitchen assistants or sends them running on errands. Still, it’s easy to see how much they love her. “The best part of my day is serving food to the children. I see their smile and enthusiasm when they eat. There is a great positive change in the atmosphere after lunchtime. It really makes my day to see children coming and respectfully saying to me, smiling, ‘Barka Yaaba,’ meaning ‘Thank you, Grandma’ after lunch or breakfast. Wash and finely chop fresh tomato, onion, cabbage, eggplant and capsicum. Heat a generous measure of oil and fry the fish. Then cut the fish into pieces and set aside. Fry your chopped vegetables in the same hot oil that was used for the fish. About five minutes later, add chopped chilli, salt, peanut butter and tomato paste. Add a measure of water as required, then mix well together. Lower the heat and return the pot lid to allow the sauce to reduce. Keep an eye on the fire’s intensity—or your stove settings!—from time to time. How do you know when it’s ready? Oh, you’ll know. But here’s a final tip from Yaaba. Add fish and serve over steamed rice. Bon appetit!